The Hungarian Civil Liberties Union, or TASZ, is contemplating suing the local government of Pécs for political discrimination, TASZ spokesperson Zoltán Mester told Magyar Nemzet. On Thursday the Fidesz-controlled city council of Pécs formally accepted Mayor Zsolt Páva’s recommendation that it formally call on every denizen, entrepreneur, and organization of the southern Hungarian city not to rent space to AEE (With the Power of Humanity), an NGO active in Pécs for over a decade supported in part by American-Hungarian billionaire philanthropist George Soros’s Open Society Foundations. The decision reportedly induced the owner of the office AEE had planned to rent, Zoltán Mester, to terminate the lease. “Somebody wants to drive a lorry over us, others want Serbian police to assault us, and then deport us to Egypt,” Nyirati wrote in a message sent to Magyar Nemzet in which he claims “the public mood had so sharpened” that among the NGO’s defenders were some who offered to beat the owner. “The situation is untenable. It is necessary to return to normality and common sense,” said the AEE spokesman. The NGO operates after-school study programs in the Gyárváros neighborhood of Pécs, where it has run programs promoting human rights and equality for the past 11 years. 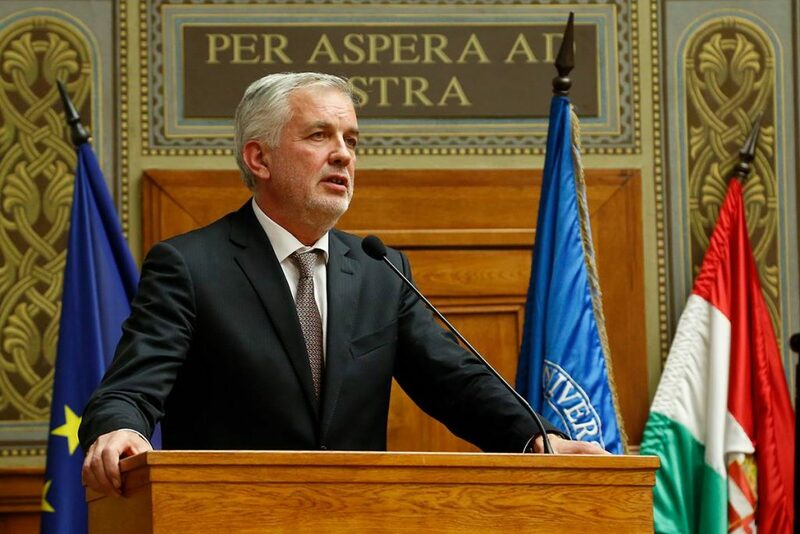 According to Nyirati, Pécs did not previously have problems with the NGO’s operations, and even supported its operations between 2009 and 2012, albeit with some reluctance. Previously, the NGO successfully applied to the National Cooperation Fund for grants. Nyirati believes that the attacks on AEE in Pécs and AKE (Association of Alternative Communities) in Debrecen city of late represent a new phase in the government’s war on civil society that began with the attack on the Norwegian Civil Funds and continued with the adoption of the NGO law. He expressed concern over legislation being drafted, according to propaganda minister Antal Rogán, intended to obstruct further the work of civil society.